Umarex does it again! Another fine example of a replica firearm. 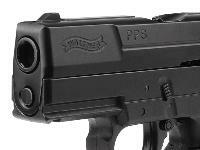 The Walther PPS firearm has a staunch following. If you'd like to maintain firearm proficiency without trips to the range and save money on ammo at the same time, get this CO2 pistol! With the realistic blowback, it'll help you with handling and trigger control, making you a better shot with your firearm. Let's not overlook another benefit. 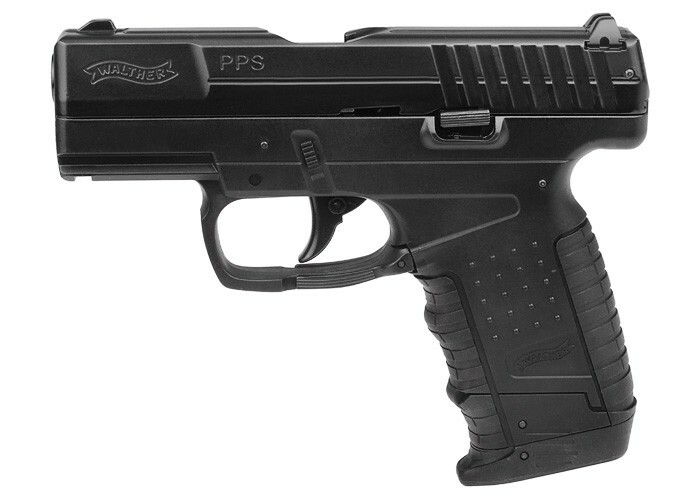 If you have family members who are timid when it comes to shooting handguns, the Walther PPS may be the ideal vehicle to introduce them to guns, gun safety, proper gun handling and the feeling of recoil. As they progress in confidence and start to understand the nature of guns and that the shooter is in charge (not the gun), they'll more easily move on to firearm counterparts (if that's your goal). Of course, shooting airguns just for the sheer joy of putting little holes in paper targets is a pleasure all by itself. Things I liked: Ok i like the fact that its small But still feels like a real pistol.And another thing the blowback works exelent on this one. Things I would have changed: On its look and feel i wouldn't change a thing. But i would like to see it shoot both bb's and pelets.And a little more power would be nice. What others should know: Hey it really does fit in your pocket.And the co2 last pretty long. Things I liked: Size is nice, pretty small for an air gun. Blow back is cool.feels real, size and weight are just right. Power is just right for indoor and outdoor target shooting, knocks down tip targets and easily penetrates cardboard and soft targets. Don't forget your safety glasses when shooting the tip or metal targets. 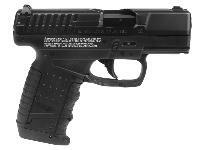 You will enjoy this little gun, it's lots of fun to shoot. Things I would have changed: The packaging, ditch the clam shell it's a night mare to open. 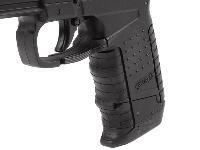 What others should know: This little gun looks exactly like the real thing, be cautious where you display or carry it. Times are different than they used to be. Enjoy this little gun and shoot safely and don't forget those safety glasses. Things I liked: Well built. Small but quite comfortable to hold and to shoot. Very realistic looking and having almost the same weight as the real weapon. Built-in hex key for CO2. Good CO2 usage (100+ shots). The blowback is a bit mild but crisp. Smooth trigger. Even though the frame is plastic, it's very solid, good quality and looks and feels great. Metal slide adds to the realism as well. 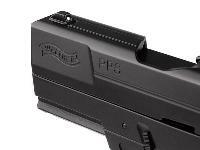 Magazine is metal, so it should last. All in all - it would be a great pistol, if it wasn't for the accuracy issue I had. Things I would have changed: My biggest problem with this gun was with accuracy. I ordered PPS and it was shooting 2.5 inches down and to the left from 15 feet. The grouping was great (10 shots within 1.5 inch consistently). I returned it and got another one. The second gun had similar problem. 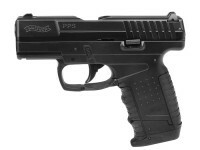 I'd love to have PPS but didn't want to go through another 2 weeks cycle, so ended up buying another gun at the end. With fixed sights the accuracy should be good and consistent out of the box. In my experience it was not. The manufacturer should have better QA to address this issue. Its not very practical to order several guns just to be able to select one that shoots as it should. 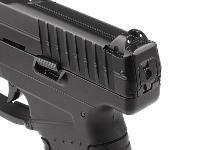 If the rear sight was adjustable, I would have kept the pistol and definitely rated it with 5 stars. What others should know: For you Canadian buyers: PA is a great online store to buy from. With their prices and level of support, you can hardly find any better online source for air guns. The only thing to keep in mind is that they ship with UPS, so each order will have custom and brokerage fees, plus tax. This adds up some significant amount to the price. At checkout, you will see all expenses listed before you commit, so no surprises, which is great. I also had an issue with UPS Canada sending me extra bill for all these extra charges after delivery. I had to call them back and contact PA to have it sorted out. About how many clips per use before changing out co2 cartridge? what holster would you suggest i get for this?